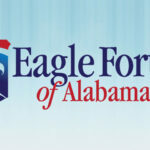 Would you like the Alabama Eagle Forum to speak at your event? Our mission will only be as strong as our word getting out to the masses. Speaking reservations are available now, let us education and inspire your community or business. – Fill out the form below to get started.